tank by vacuum transfer in a closed operation. 4. 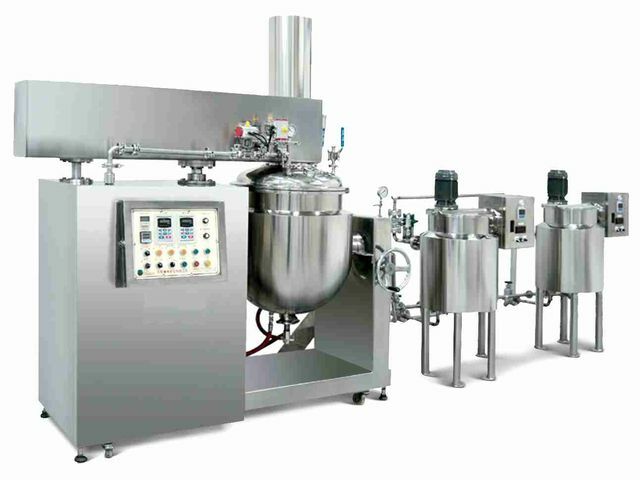 Automatic process: heating / emulsify / vacuum / cooling. 5. Oil hydraulic system: lift up the scrapper with cover for easy cleaning.